Everyone loves good news and everyone loves success! It's the American Dream, right? And it’s no surprise investors are talking about Papa Ray's Pizza & Wings franchise. We’ve caught investors' attention with our fast-paced growth that is creating business opportunities and bringing new jobs to the best neighborhoods in Chicago. 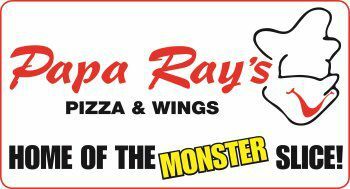 At Papa Ray's Pizza & Wings, we’re excited about our rapid growth, and there’s never been a better time for the new or experienced investor to join our proven concept. If you’re an entrepreneur with a passion for working with people, owning a Papa Ray's franchise may be the perfect fit for you. To learn more about joining our dynamic and growing company, click here and learn more. We’d love to hear from you!